Tweaked to the discerning tastes of U2's renowned guitarist, The Edge Deluxe is the perfect complement to his signature sound. 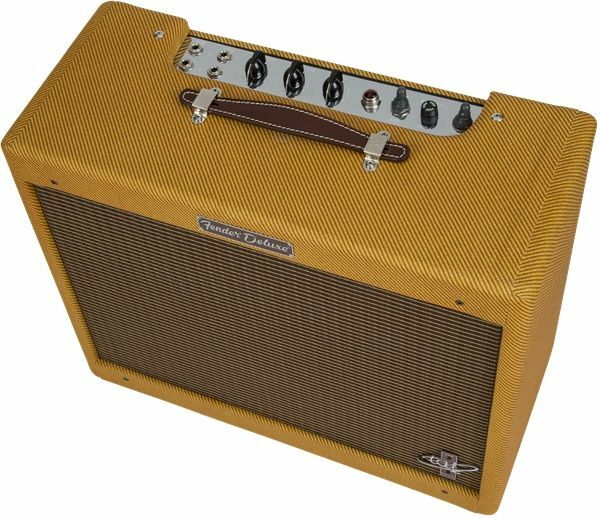 A stalwart Fender amp user for decades, this signature model is an updated take on the classic '57 tweed Deluxe used to craft his sonic identity on stages and in studios around the world. Whether played clean or crunchy, this amp produces the tone and articulation of the vintage Fender Deluxe amps that are an important part of his complex multi-amp and effects setup. 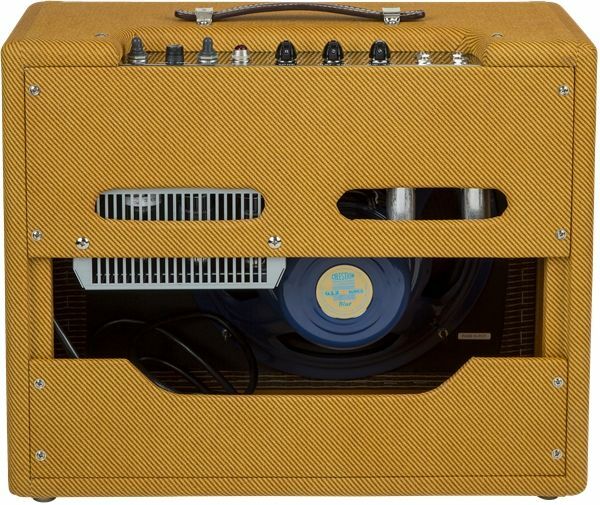 Voiced to match The Edge's desire for a simple, highly dynamic design, this 12-watt hand-wired amp features modified circuitry for tighter low end response and high-impact tone. Extremely dynamic, this updated circuit reacts instantly to the guitar's output volume and your picking dynamics to unlock a wide variety of amazing clean and overdriven tones that work well with almost any style of music. 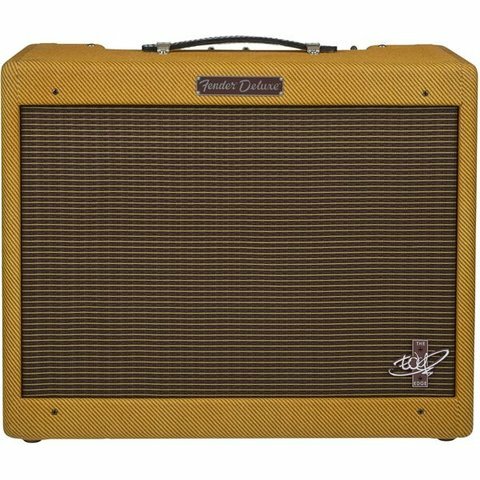 The distinctive voice of the coveted 12" Celestion Blue speaker, with its smooth attack, warm lows, mellow upper midrange and bell-like high end, creates richly-defined tone with highly musical compression when pushed. As you'd expected from an amp with his signature logo on the front, The Edge Amp is extremely pedal-friendly, taking tone shapers of any type with ease, so you can use it as the foundation of your own sound. 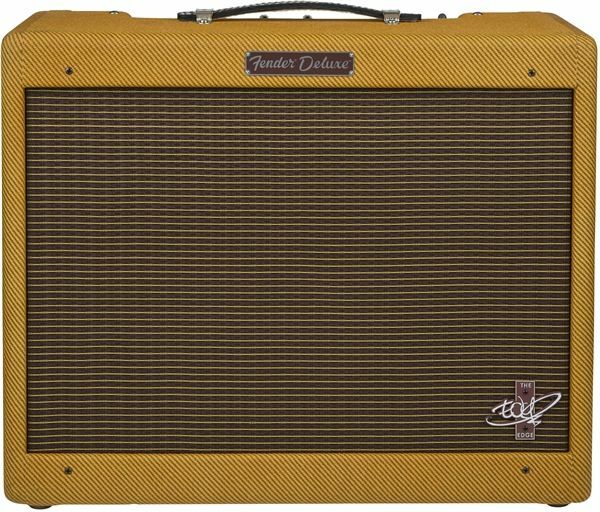 An exciting take on the classic Fender tweed formula, The Edge Deluxe is perfect paintbrush to create your sonic landscape.